Why Play for Bear Creek Junior Sports? Safety: Bear Creek Junior Sports is committed to the safety of your child and our parents and family members. All of our coaches and assistants are concussion certified and have completed child safe background checks. Coaching: Each of our coaches and assistant coaches strives to ensure that your child has fun playing sports for Bear Creek Junior Sports. Fun is Essential: Having fun while being safe is without question the most important component of any sport experience at any age or level. Whether you are a parent of a young child or a veteran coach, it is absolutely critical that your kids enjoy themselves when they play. The reasons for this are somewhat obvious but important to reinforce. When kids have fun, they are more likely to continue to play. Fostering a love of exercise and athletic involvement has life-long benefits, including improved physical and mental health as well as academic performance. When kids don't have fun, they are less likely to play the next season and may drop out of sports altogether. Researchers have found that anywhere from 30-70% of kids drop out of sports by the time they are 13 years old, and the number one reason why they quit is that they aren't having any fun. While some programs/clubs will tell you how many kids are playing on top elite teams, we'll show pictures of kids smiling! We like to say, "We are winning regardless of what the scoreboard reads!" 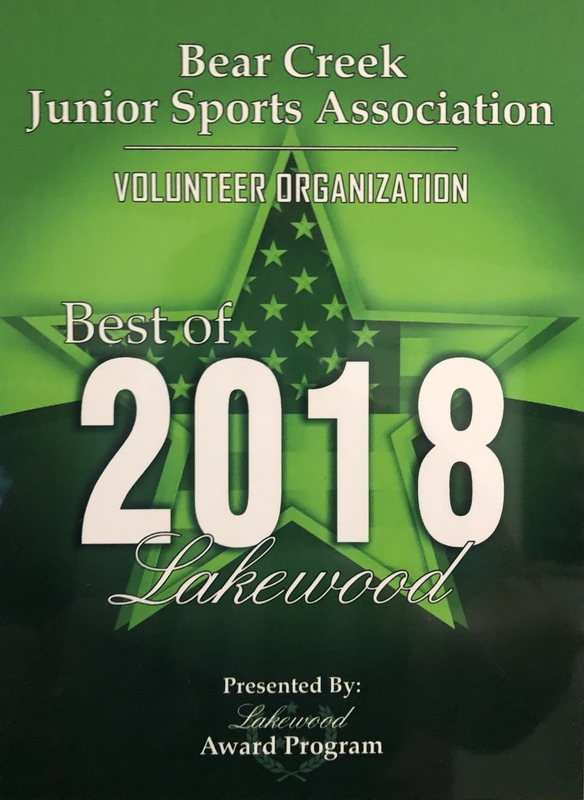 Non-Profit: Many youth organizations are "for profit", while Bear Creek Junior Sports Association (BCJSA) is 100% volunteer run, non-profit organizations. This is important as everyone in our program is here for the kids and we are only interested in your child's best interests, it is not just a job to us.